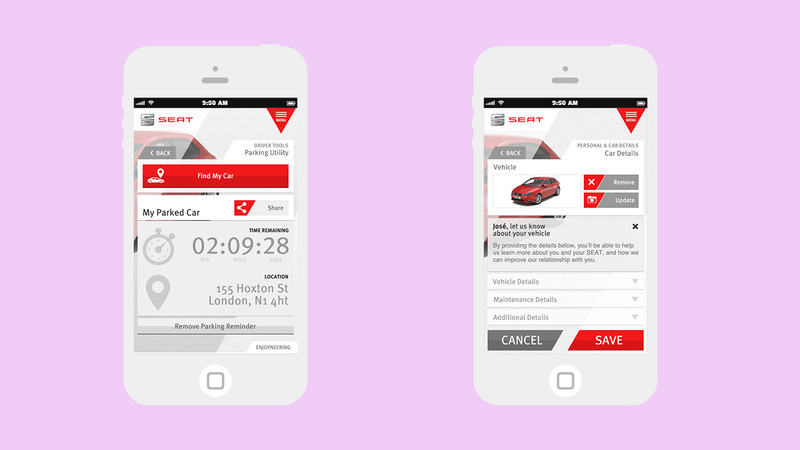 A driver companion app tailored exclusively for SEAT owners. 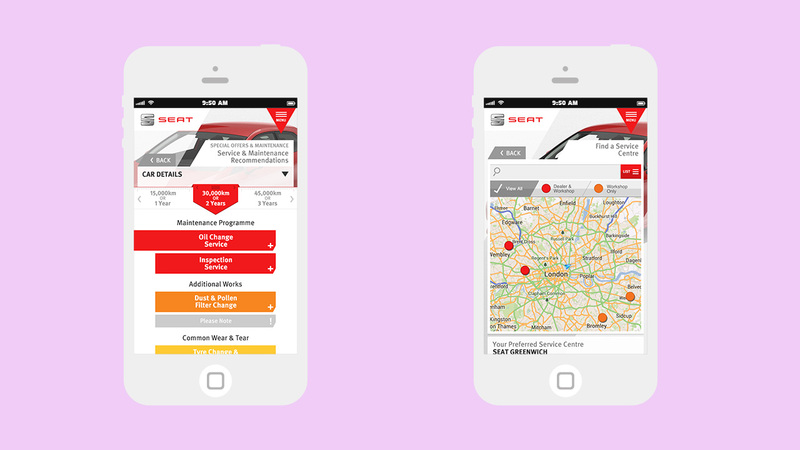 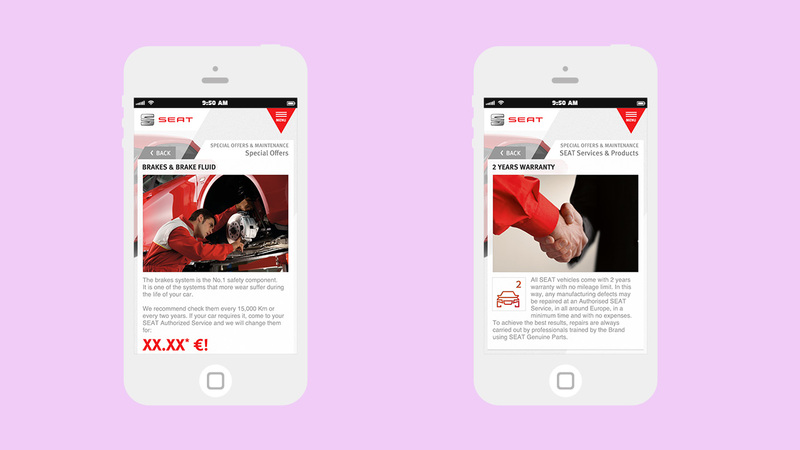 As part of SEAT’s expanding mobile presence, we developed an extensive companion app for SEAT owners, customised to individual driver experience. 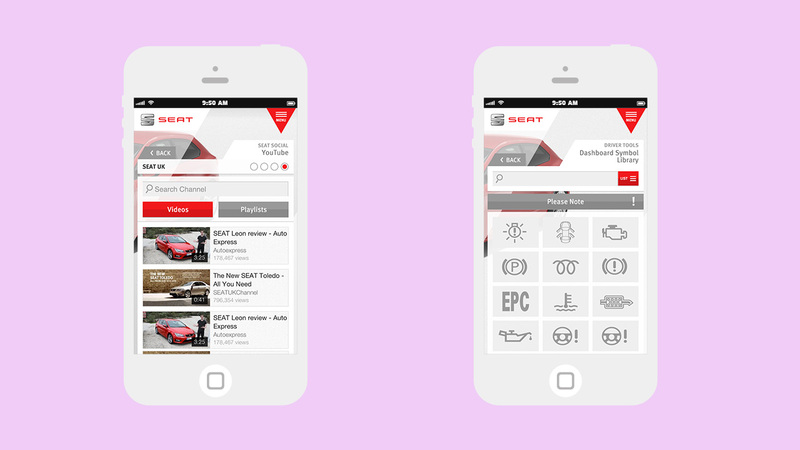 By simply entering in key vehicle details, SEAT customers are provided with a number of features within the app, including maintenance recommendations, exclusive offers, driving tips and utilities, social feeds and vehicle look up. 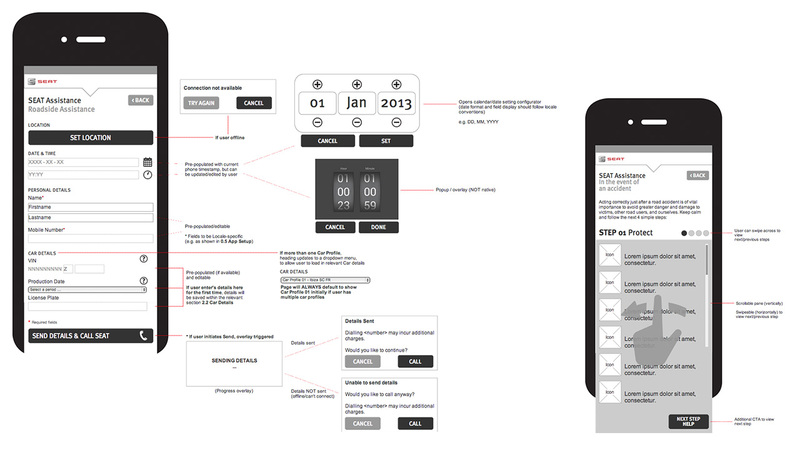 Working with the creative team at Movement, I worked closely with the project team to develop the user experience and information architecture of a significantly detailed and complex application. 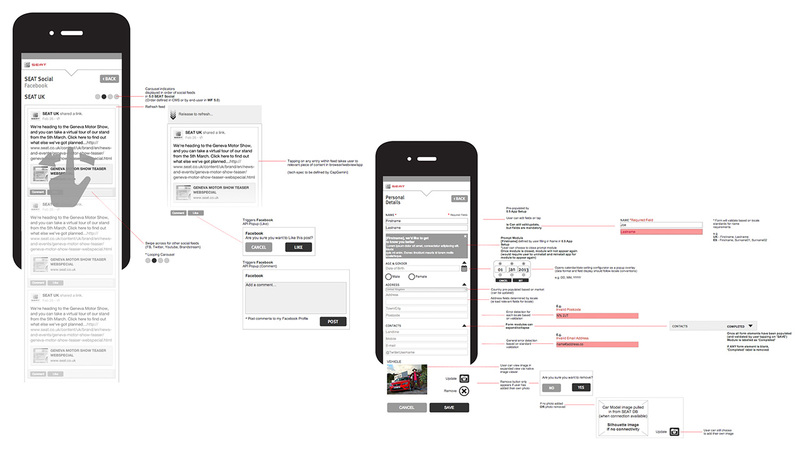 Once we had defined the content structure for the app, I then shifted my focus to the design and front-end experience of the app. 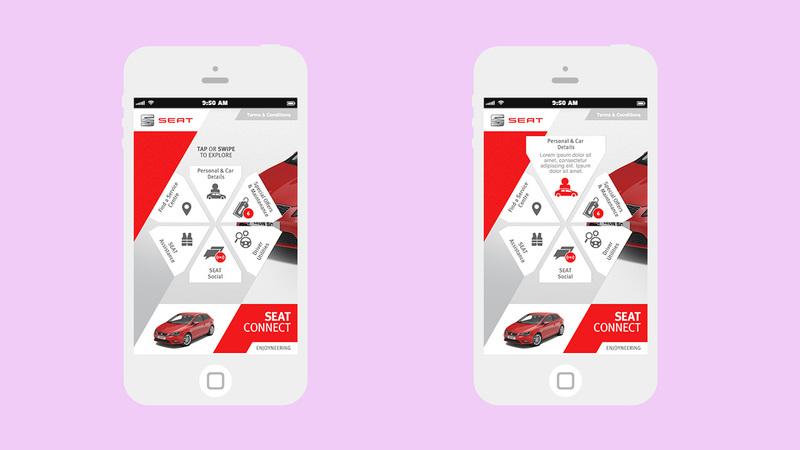 The key aims of the design and UX was to keep the app interfaces and experiences immediate, uncluttered, easy to use and enticing; to effectively highlight the SEAT brand values of ‘Enjoyneering’.